The Consortium of Asiago PDO announced the full recognition and protection of the renown Italian cheese in Mexico, within the global agreement between the EU and Mexico. Starting from a difficult situation – given the lack of legal protection and import duties of 120% – thanks to the activity of the Consortium supported by Italy’s institutions, the long-awaited full recognition of Asiago PDO cheese throughout Mexico has now been established. The specialty has been included in the EU-Mexico agreement, with the possibility of falling within the 20,000 tons quota of zero-duty exportable products. Mexico – a country with 120 million inhabitants and over 10 million potential consumers of high-end products – already knows and appreciates a name like ‘Asiago’. In recent years, the Consortium has indeed participated in many bilateral meetings, activating a comprehensive promotional program and exhibiting at trade shows such as Expo Antad Alimentaria Mexico 2017. All this has allowed, in 2016, a reclassification of the customs category from 120% to 45% and a substantial boost to exports. Lately, Asiago PDO exports to Mexico have seen a growth of 58% in volume (according to ISTAT data until August 2018) in a country that, from 2012 to 2017, recorded a +26% in per capita consumption of cheese. 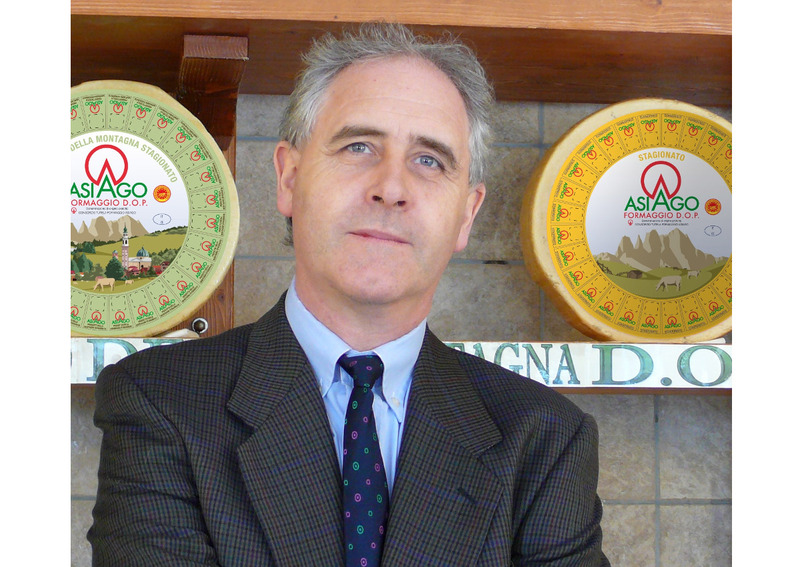 “We are very satisfied – says Fiorenzo Rigoni (in the picture above), President of the Consortium for the protection of Asiago PDO cheese – with a result that rewards many years of hard work. Now it is up to our members to focus on a decisive strengthening of exports by seizing the great opportunities represented by the high level of international prestige gained in recent years by this product”. Italy and Mexico share a common attention to gastronomic culture. Starting from here it is now necessary to start taking advantage of the trade relations between the EU and Mexico within which, according to the European Commission, trade has grown at an annual rate of 8% making Mexico the second largest trading partner in Latin America for the EU after Brazil.